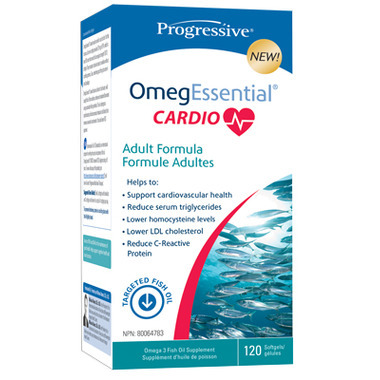 Progressive OmegEssential Cardio is designed for those who have more acute cardiovascular challenges. 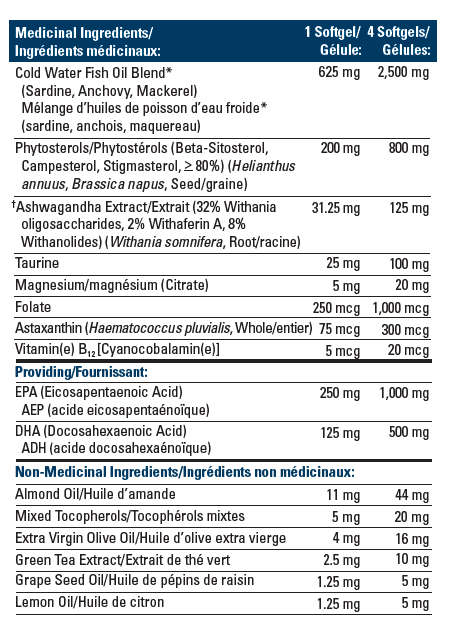 It takes the heart healthy benefits of fish oil to a whole new level. molecularly distilled fish oils along with an array of complementary ingredients. It also contains a strategic blend of Almond, Olive and Lemon Oil. These oils naturally support liver and gallbladder function, improving your body’s ability to assimilate and utilize essential fatty acids. Other Non-Medicinal Ingredients: Gelatin, Glycerin, Purified Water, Carob Powder, Natural Orange Flavour, Ascorbyl Palmitate, Yellow Beeswax, Sunflower Lecithin.